Chinese retail investors may be able to dream of Picasso while hanging share certificates on their walls. 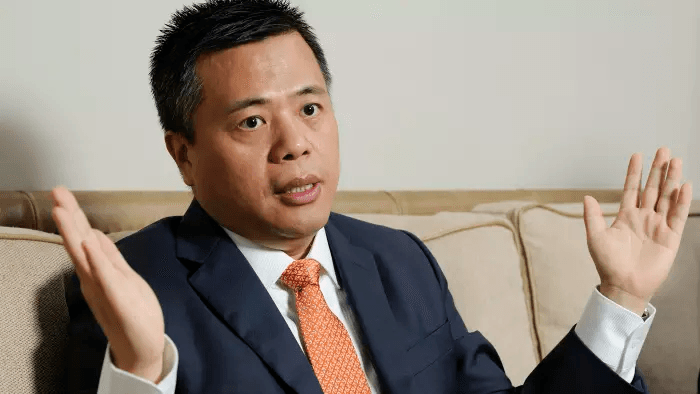 A Singapore-based Chinese billionaire investor, who this year acquired stakes in peer-to-peer group Lending Club, the fund manager Legg Mason and Sotheby’s, has proposed “securitising” the artist’s work to create fractional ownership and tap a wider market in Asia. Chen Tianqiao and his wife Chrissy Luo , co-founders of investment group Shanda, floated the idea to Sotheby’s chief executive that the auction house could enlarge its base of Chinese buyers by creating shares in artworks. The investors would profit if the artwork rose in value, Mr Chen adds. The couple, who founded online gaming and books group Shanda Interactive Entertainment in 1999, say they can be pioneers in investment, leading more of China’s private wealth overseas. While Shanda, which has $8bn in net assets under management, sold its 2 per cent stake in Sotheby’s in August, it is now attempting to direct its innovative investment approach to other companies, mainly in the financial sector. The company has a 15.13 per cent stake in US group Lending Club — making it the single biggest investor — and a 9.9 per cent stake in Legg Mason, acquired in April. It also has accumulated a 13.8 per cent holding in US hospital operator Community Health Systems. The group is now looking to raise its stake in Legg Mason to 15 per cent, the two companies have said. Mr Chen will in June join the board of the US-listed asset manager as vice-chairman and will lead Shanda’s efforts to assist Legg Mason in building its brand in China. He proposes customising Legg Mason’s investment products for Chinese clients. Chinese retail investors might be tempted by real estate assets that are securitised to provide liquidity, but with insurance companies brought in to guarantee a minimum return, Mr Chen suggests. A draft of new rules restricting some capital outflows from China have circulated since Mr Chen expressed this optimistic outlook to the Financial Times. Acquisitions of more than $1bn will be screened by the government for signs of capital flight as opposed to strategic investment. Through a spokeswoman, Mr Chen later declined to comment on the capital outflow rules. However, a boom in overseas investment in recent years means there are plenty of investors with capital outside China. According to commerce ministry data, Chinese companies’ overseas purchases reached $146bn in the first 10 months of 2016. Global regulators are increasingly focusing attention on peer-to-peer lenders, with the US Treasury pushing for greater transparency both for borrowers — on pricing terms — and investors — on loan-level data. Shanda revealed in a securities filing in May that it had accumulated a stake of nearly 12 per cent in Lending Club. The filing was made two days after the online lender’s chief executive Renaud Laplanche stepped down amid a loan mis-selling scandal and the company’s stock price collapsed. He cites Lending Club’s commanding position — it is the biggest listed online lender by loan volumes — and its $800m cash on its balance sheet as evidence of its strength. The concept of art securitisation is not new, but it has struggled to take off. SplitArt, a Luxembourg enterprise that aimed to create tradeable certificates based on artworks, ended in liquidation in 2012. One of the challenges of securitising art is that, unlike a debt obligation, fractional ownership of an artwork does not generate cash until it is sold. Evan Beard, national art executive at US Trust, a private banking unit of Bank of America, says: “One of the reasons art funds have not worked so well is because part of the return of art is the aesthetic pleasure you derive from having it on your wall. One way to securitise art would be to take a bundle of loans that use artworks as collateral, and turn this loan exposure into a security, Mr Beard suggests. A challenge here would be giving investors transparency, when art loans tend to be discreet. “Almost every art loan has a non-disclosure agreement attached to it and anyone who does an art loan, the last thing they want is a third party to have any insight into their art,” Mr Beard says. But Mr Chen and his wife say there is a significant untapped demand for art investment among China’s middle class. “This is customising Picasso for the middle class Chinese investor. They truly believe in Picasso but cannot invest,” Mr Chen says.